Rewa is a city in Madhya Pradesh, India. It gets its name from another name of River Narmada. 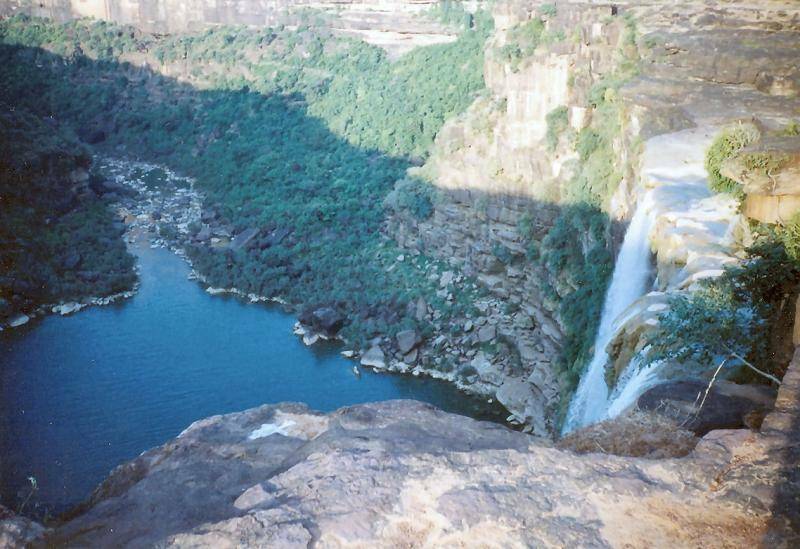 It is located on the central Vindhyan Plateau. It is 38 km away from Maihar and 52 km from Chitrakoot, both being important tourist attractions. It serves as a gateway to Ganga Valley and many important trade routes pass through Rewa. It has a humid sub tropical climate with hot summers, humid monsoons and cold, misty winters. The highest temperature in Rewa goes normally around 40 Celcius and the lowest temperature falls to 7 - 9 degree C. The main languages spoken here are Hindu and Bagheli. Rewa is famous for white tigers and soon a tiger safari will be started. The place is also soon going to get its first shopping mall. Rewa has enormous limestone resources. Rewa Fort and Museum, APS University Stadium and Shiva Temple are some of the main attractions of the city. Nearby Bansagar Dam, waterfalls, giant statue of Shiva called Bhairon Baba also attract many tourists. Rich in natural beauty, Rewa is a very harmonius place.